Finding the time to devote to moving from London to Brussels can be challenging. With work and other daily chores that one must do, it is incredibly hard to find the time for anything else. Moving is an extremely time consuming chore that nobody enjoys doing. If you feel the same way, it is time you called in the experts from Moving Service. Here, we pride ourselves in offering the best removal services around in terms of our services, prices and staff. We do all we can to make life easier for our customers. We understand that moving is hard work and time-consuming, and, of course, energy draining. It really is all of these things. That is why we would like to lend a helping hand. If You are Moving From London to Brussels, Let Us Help. We offer an extensive list of services. In addition to international removals, we offer packing and boxing, storage, man and van, commercial moves and domestic moves. We offer it all right under one roof. You will also be pleased to know that our prices are more than reasonable. We want our removal services to be affordable to all. If you would like to find out more about our services, or if you’d like to book a date for your move from London to Brussels, please call our office today on 020 8746 4402. We will give you a free quote as well! Let’s get cracking with your Brussels move! 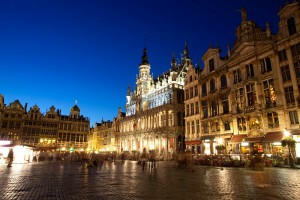 Brussels, as most people know, is the capital city of Belgium. In Brussels, Dutch and French are spoken regularly. However, you will find a great percentage of people speaking English as well. It is an extremely bilingual city, but the most commonly spoken language in this city is French. German is also spoken in this city. 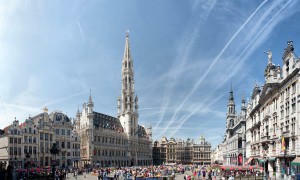 There are a number of landmarks and if you are a visitor in Brussels, you must see them. These landmarks are as such: Grand Place-Grote Markt, Atomium, Manneken Pis, The Bourse, Statue of Europe, Red Light District and many, many more. There is indeed a lot to see and do in this city. You shall never get bored whilst you are here. Brussels also boasts a number of interesting museums and events. With Our Resources and Expertise, We Can Make Your Move 100% Stress-free. To make life easier for our clients we provide you with a moving checklist when you move with us. We think this is an excellent way for you to get organised. When you have completed a task, you can then tick off the task from the checklist. This is really benefitcial in the long run because you will not have to think mid-move, ‘I haven’t done this’, or ‘I haven’t done that’. This way, by using this method, you will know exactly what to do beforehand. You won’t miss anything out this way. We have found this method has worked for so many clients over the years. So, if you are moving from London to Brussels, it would be sensible of you to enlist professional help. Moving is hard enough, but moving abroad is even more difficult. But we are here to help you. The benefits to hiring us are simply endless. You will save a lot of time, energy, money and stress. Yes, stress! Moving is stressful and we do all we can to lessen that stress. We take that burden of moving off of your shoulders. It is our aim to provide you with quality services at affordable prices. For a free quote, call us today on 020 8746 4402.